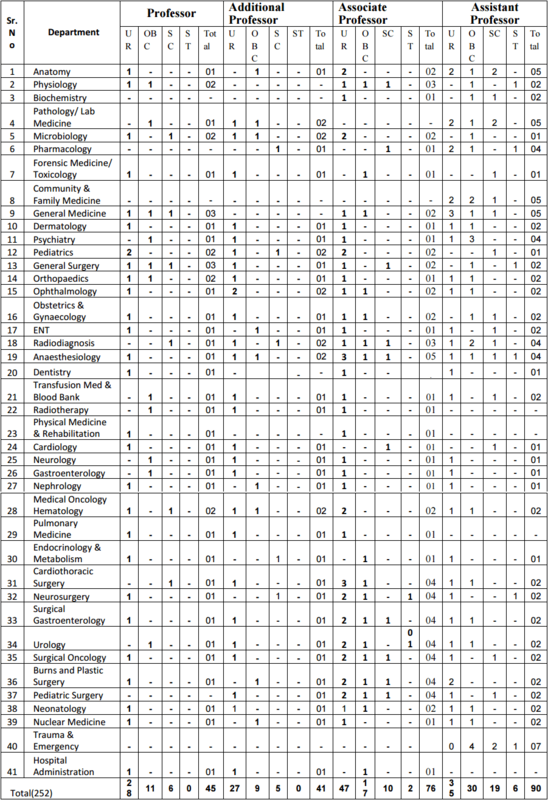 All India Institute of Medical Sciences (AIIMS) Recruitment 2017, In the All India Institute of Medical Sciences (AIIMS) Recruitment 2017, Current Govt. Jobs for Senior Residents at the All India Institute of Medical Sciences (AIIMS) Recruitment 2017. All India Institute of Medical Sciences (AIIMS) Recruitment 2017 Senior Residents Posts May 2017, All India Institute of Medical Sciences (AIIMS) Recruitment 2017 have been decided to recruit Senior Residents Posts Advertisement Date 24th May 2017. Important Dates which candidate should remember when applying All India Institute of Medical Sciences (AIIMS) Recruitment 2017 as follows. Probably you are waiting for this All India Institute of Medical Sciences (AIIMS) Recruitment 2017 Notification you can apply online All India Institute of Medical Sciences (AIIMS) Recruitment 2017 posts Senior Residents. Now the question is who can apply the All India Institute of Medical Sciences (AIIMS) Recruitment 2017 Job, -Well those are planning to apply for this / these Senior Residents Posts should have the following minimum eligibility criteria. Also Check the Advertisement Details. I. A Pos tgradu ate Medi c al degree v i z . MD/MS/DNB/DM/M.Ch i n th eir res pec ti ve disciplines recognised by MCI /Institute of National Importance. (b) Ph.D. in the subject concerned from a recognized University/Institute. A postgraduate medical degree viz. MD in Laboratory Medicine / Pathology / Microbiology / Biochemistry from a recognized University/Institute. IV. For posts earmarked for T&E (Trauma and Emergency), a recognized post graduate degree in Emergency medicine will also be considered eligible along with the department specified. MDS from a recognised university. VI. To be eligible for selection for these posts, the candidate should pass the qualifying examination by 31.07.2017 & result should be declared to this effect on or before this date. The tenure of qualifying degree should also be finishing latest by 31.07.2017. VII. In cases where result of qualifying examination is declared after 31.07.2017, their candidature will stand cancelled and no claim for selection on the basis of theory exam will be considered. VIII. The tenure of Senior Resident is for three years including any service rendered as Senior Resident earlier on ad-hoc / regular basis. The appointment will be initially for a period of one year which is extendable for a period of three years on annual basis subject to satisfactory work and conduct. The upper age limit for applying for these posts is 33 years as on 31.07.2017. I. This is further relaxable for SC/ST & OPH candidates as per Government of India rules. II. For those applying for these posts after completing DM/M.Ch courses, the upper age limit will be relaxable by 2 years as on 31.07.2017. I. For Medical candidates Rs.18, 750+6600 (Grade Pay) +NPA plus other usual Allowances or revised pay scale as per 7th CPC as applicable. II. For Non-Medical candidates M.Sc. with Ph.D. Rs.16, 740+5400 (Grade Pay) plus other usual Allowances. I. Reservation will be as per Government of India rules. II. Reservation for Orthopaedic Physically Handicapped candidates 4 % on horizontal basis in their respective categories. III. Candidates applying in OBC/SC/ST category should possess the caste certificate issued by competent authority, valid for administration / Job in Central Govt. Institutions. Rs. 1000/- (One thousand only) For General / OBC Category Candidates. SC/ST, OPH and women candidates are exempted from paying the application fee. The Interested candidates can pay their application fees through Demand Draft of in favour of AIIMS Patna, Payable at Patna. How to Apply Online AIIMS Recruitment 2017 ? I. Prescribed format of application is available on the website of the institute. www.aiimspatna.org. II. Candidates may apply for more than one department if they wish to, provided they fulfil the eligibility criteria. They will have to apply separately for each department along with separate application fee. III. Candidates having MD/DNB in Paediatrics or Medicine can also apply for the post of Senior Residents in the Department of Gastroenterology, Medical oncology/Haematology, Endocrine & Metabolism, Cardiology, Nephrology and Neurology. IV. Candidates having MS/DNB in General Surgery can also apply for the post of Senior Residents in the department of Neurosurgery, Paediatrics Surgery, Urology, Burns & Plastic surgery, Surgical Oncology, Surgical Gastroenterology and CTVS. V. Self-attested copies of certificates to be attached with application, in the sequence of- Bank Draft of application fee, Date of Birth certificate, Medical council registration certificate, MD/MS/DNB/Ph.D./DM/M.Ch. Certificate, Caste certificate/OPH certificate (if applicable). VI. Duly filled up application along with abovementioned certificates should reach to The Dean, All India Institute of Medical Sciences, Phulwarisharif, Patna (Bihar), PIN- 801507, through Speed Post/Registered Post ONLY. Last date of receiving application is 27/06/2017(5.00PM). While sending the application, the envelope should be superscripted: “Application for the post of senior resident (…Department….)”. VII. Candidates working in Govt./ Semi-Govt./ PSU should apply through proper channel only. The in-services candidates will not be permitted to attend the interview without “No Objection Certificate” from their present employer. Director AIIMS, Patna reserves the right to cancel advertisement at any point of time without assigning any reason thereof or to fill up less number of posts as advertised depending upon the Institutional requirement at the time. I. Interviews for selection to the advertised posts of Senior Resident will be held in the month of July 2017. Dates of interview will be displayed in the due course on the institute’s website: www.aiimspatna.org. (Interview will be held in PATNA only). II. While every effort will be made to intimate the candidates regarding interview schedule at the earliest, the responsibility lies with the candidate to check for the same on the institute website. III. In case of vacancy arising because of none joining by selected candidates in this selection or by resignation of candidates, post will be offered to the candidates from waiting list according to the merit list. All applicants must provide phone numbers and e- mail/fax number for faster communication. IV. Qualification/Experience and Age will be counted as on 31/07/2017. V. The final result will be displayed on the website i.e. www.aiimspatna.org. I. Incomplete application and application received after the last date will be summarily rejected and no further communication in this regard will be entertained. II. Accepted / Rejected application status will be posted on the website. III. Attempts will be made to communicate the interview schedule through e-mail and/or post. AIIMS Patna shall however not be responsible for non-receipt of such communication due to postal delay / non-receipt of email. IV. Candidates are advised to check the website and/or e-mail regularly. V. It is mandatory to provide functioning e-mail ID and mobile number in the application form, that are in regular use. All India Institute of Medical Sciences (AIIMS Patna) Recruitment 2017, In the All India Institute of Medical Sciences (AIIMS Patna) Recruitment 2017, Current Govt. Jobs for Professor, Tutor & Lecturer at the All India Institute of Medical Sciences (AIIMS Patna) Recruitment 2017. All India Institute of Medical Sciences (AIIMS Patna) Recruitment 2017 Professor, Tutor & Lecturer Posts March 2017, All India Institute of Medical Sciences (AIIMS Patna) Recruitment 2017 have been decided to recruit Professor, Tutor & Lecturer Posts Advertisement Date 21st March 2017. Important Dates which candidate should remember when applying All India Institute of Medical Sciences (AIIMS Patna) Recruitment 2017 as follows. Probably you are waiting for this All India Institute of Medical Sciences (AIIMS Patna) Recruitment 2017 Notification you can apply online All India Institute of Medical Sciences (AIIMS Patna) Recruitment 2017 posts Professor, Tutor & Lecturer. The above vacancies are provisional and subject to variation. The Director, AIIMS, Patna reserves the right to change the vacancies including reserved vacancies as per the Govt. of India rules/circulars and requirements. Reservation will be as per Government of India Policy. Upper Age Limit shall be counted on the last date of submission of application. The period of experience wherever prescribed shall be counted after obtaining the prescribed qualification till the last date of submission of application. For the post of Professor, Tutor & Lecturer – Indian. Now the question is who can apply the All India Institute of Medical Sciences (AIIMS Patna) Recruitment 2017 Job, -Well those are planning to apply for this / these Professor, Tutor & Lecturer Posts should have the following minimum eligibility criteria. Also Check the Advertisement Details. Experience: Twelve years teaching and/or research experience in recognized institution in the subject of specialty after obtaining the qualifying degree of M.Ch. /D.M. (2years or 5 years course recognized after MBBS) in the respective discipline/subject or a qualification recognized equivalent thereto. 2-A doctorate degree of recognized university. Experience :- Fourteen year teaching and/or research experience in the discipline/ subject concerned after obtaining the doctorate degree. Experience:- Ten years teaching and/or research experience in recognized institution in the subject of specialty after obtaining the qualifying degree of M.D./M.S. or qualification equivalent thereto. 3. D.M. in respective discipline/subject for medical suppers pecialties and M.Ch. in respective discipline/subject for surgical super-specialties (2 years or 3 years or 5 years recognized course) or qualification recognized equivalent thereto. Experience: Eight years teaching and/or research experience in recognized institution in the subject of specialty after obtaining the qualifying degree of D.M/M.Ch. (2 years or 5 years course recognized after MBBS) in the respective discipline/subject or a qualification recognized equivalent thereto. Seven years teaching and/or research experience in recognized Institution in the subject of specialty for the candidates possessing 3 years recognized degree of D.M/M.Ch in the respective discipline/subject or a qualification recognized equivalent recognized equivalent thereto. 2-a doctorate degree of recognized university. Experience Ten year teaching and/or research experience in the discipline/subject concerned after obtaining the doctorate degree. Experience : Six years teaching and/or research experience in a recognized institution in the subject of specialty after obtaining the qualifying degree of M.D./M.S. or qualification recognized equivalent thereto. 3. D.M. in the respective discipline/subject for medical Associate Professor super-specialties and M.Ch. in the respective discipline/subject for surgical super-specialties (2 years or 3 years or 5 years recognized course) or a qualification recognized equivalent thereto. Experience: Six years teaching and/or research experience in the discipline/subject concerned after obtaining the doctorate degree. Experience : Three years teaching and/or research experience in a recognized institution in the subject of specialty after obtaining the qualifying degree of M.D./M.S. or qualification recognized equivalent thereto. 3. D.M. in the respective discipline/subject for medical for surgical super-specialties (2 years or 3 years or 5 years recognized course) or a qualification recognized equivalent thereto. Experience: One years teaching and/or research experience in a recognized institution in the subject of specialty after obtaining the qualifying degree of D.M/M.Ch. (2 years or 5 years recognized degree in D.M./M.Ch or qualification recognized equivalent thereto, No experience is necessary for the candidates possessing the 3 years recognized degree of D.M/M.Ch. or qualification recognized equivalent thereto. Experience: Three years teaching and/or research experience in the discipline/subject concerned after obtaining the doctorate degree. 2. Must be registered Nurse and Midwife. 1. Master Degree in Nursing from a recognized Institution/University. Professor/Additional Professor :- Not exceeding 58 (Fifty Eight) years as on closing date. Associate Professor/ Assistant Professor/Reader/Lecturer :- Not exceeding 50 (Fifty) years as on closing date. Tutor / Clinical Instructor (Nursing) :- Not exceeding 35 years as on closing date. (ii) No age relaxation would be available to SC/ST/OBC applying for unreserved vacancies. (iii) Upper age limit for person with disabilities shall be as per existing Government of India Rules. Candidates applying under any of the reserved category posts, viz. SC/ST/OBC/Person with Disabilities (PWD) will be considered subject of Caste Certificate issued by the appropriate/ competent authority on the prescribed format. Community should be clearly and legibly mentioned in the certificate. OBC candidate’s eligibility will be based on the caste(s) borne in the Central List of Government of India. OBC candidate(s) should not belongs to Creamy Layer and their sub-caste should be match with the entries in Central List of OBC, failing which their candidates will not be considered under any of the applied reserved category post(s). There shall be 3% horizontal reservation for person with disabilities as per Govt. of India rules. Person who wants to avail the benefit of reservation would have to submit a Disability Certificate issued by a competent authority in prescribed format. Up-to 40% of posts of Professors will get Higher Administrative (HAG) scale subject to clearance of the prescribed process. The Interested candidates can pay their application fees through Demand Draft (DD) drawn in favor of AIIMS PATNA payable at Patna. The application fee can also be sent through NEFT in the Account no. 579310110002528 (IFSC code: BKID0005793 Account Name: AIIMS Patna). Applicant should mention their particulars (Name, address, department & position applied) on the reverse of DD. How to Apply Online AIIMS Patna Recruitment 2017 ? First Step : Go to the Official Website (www.aiimspatna.org). 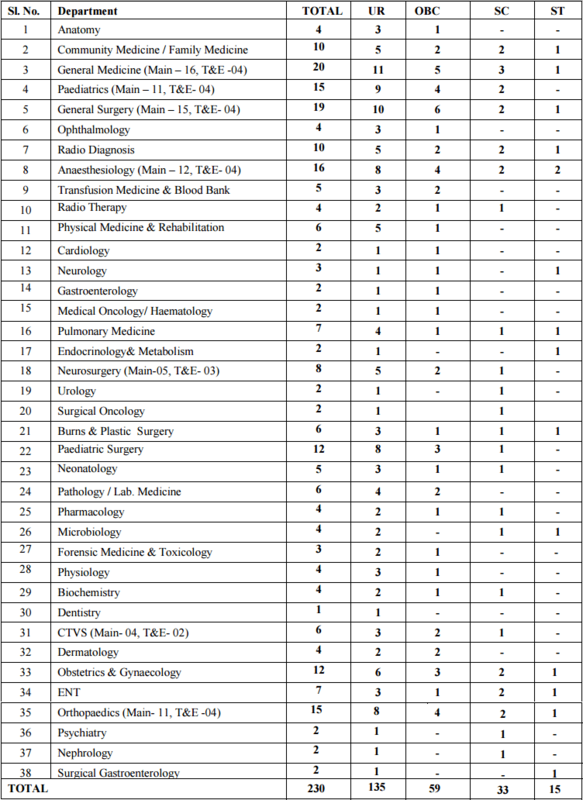 The Interested candidates who are going to apply All India Institute of Medical Sciences (AIIMS Patna) Recruitment their selection process will be based on Interview.